(Turtles of Sleepy Hollow Lake - 05) While watching this and other turtles upon a floating log, I thought about my own childhood, when my friends and I attempted to build a log raft and float upon the water, but without the success of Tom Sawyer and Huck Finn. 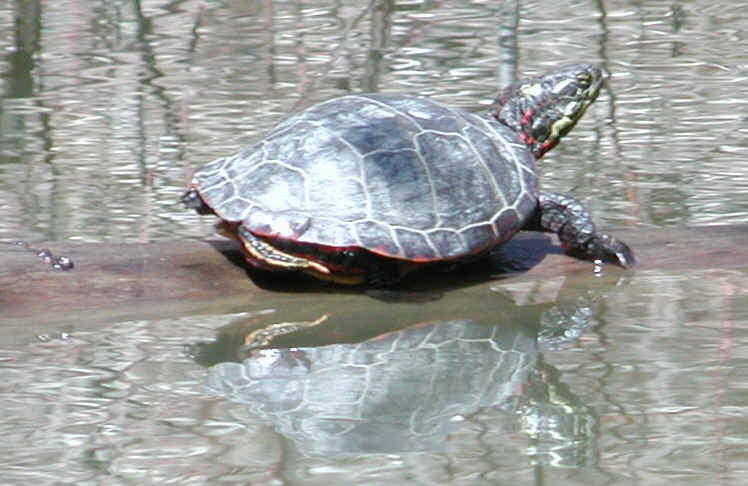 This turtle took advantage of a natural log raft where he or she soaked up the warming sun. May we always allow them to enjoy these simple pleasures.